Browse content similar to Alex Jones: Y Fam Gymreig. Check below for episodes and series from the same categories and more! -I'm Alex Jones. I'm a TV presenter. -buy a house or work while pregnant. -Most women now go to work. -three months after Teddy was born. -and being a mother is hard. -before I go to work is difficult. -Don't squish it. Eat it. -being a mum and holding down a job? -and get some advice, I hope. -for a Welsh mother to have it all? -is the Welsh mother today? -is trying to be a bit of everything. -"It's impossible most of the time. -for when you first hold your child. -"Just don't mention the exhaustion!" -to talk to one another. -..but there's no such thing. -because we want it all. -who can be very honest with me. -than any other - my own. -Hello, Al. How was the journey? -Come in for a cuppa. -on what it is to be a mother. -How old were you when you had me? -Did you and Dad have a plan? -We planned to have two children. -You came sooner than planned! -Did I? Was it a shock? -I had five years off to raise you. -to look after you anyway. -That's how it was back then. -because you were a young mother. -It was fine. It worked out great. -I think 25 is very young now. -Back then, it wasn't young. -I was an old mother. -You were an old mother! -On the card they give you. -What am I? A geriatric! -was classed as an old mother. -Gosh! As young as that? -being 39 when I had Teddy. -Dadi didn't get any time off. -Was he back at work the day after? -..but he had to go in the next day. -so you did well there! -Giving birth on a Saturday. -That must have affected you. -I was hopeless at the start. -and I didn't know what I was doing. -What advice do you have? -three weeks after Ted was born. -It would be to do it your way. -Do it your way, you and Charlie. -When we're stuck, we come here. -OK. See you before long. -Others say it's hard with two. -that having three is impossible. -live with their nine children. -and the youngest is seven months. -Nice to meet you. I'm Alex. -I thought you were the eldest! -Introduce me to everyone, Elliw. -Do you remember all their names? -Yes. I write them down! -into such a fun and lively home. -it must be extremely hard work. -You get used to it over time. -Did you plan on having a big family? -eat out so it's sandwiches instead. -How much bread do you buy a week? -Ten. We have toast in the morning. -People will ask this question. -Why do you have so many children? -though I'm not from a large family. -and I enjoy doing things with them. -There's a nice atmosphere here. -There's a lot of love in the house. -There's always someone to play with. -when Rob turns up with the kids? -Yes, I have my own business. -Who has the hardest job? -You think so, do you? -Do you want a swap? -I was going to say. -How many bedrooms are in the house? -Right. So how does that work? -It doesn't at the moment! -To be honest, it doesn't. -I've made beds for the boys. -It's a five-bed bunk bed. -it's the best climbing frame. -They don't know any different. -have any time for yourselves? -..so we could live more comfortably. -But the same number of children. -Winging It! for other mothers. -having Ted has been challenging. -parents has been an inspiration. -It goes to print next week. -at the other end of the M4. -But what about single parents? -confidence to raise a family alone. -an activity for the whole family. -a mother, father and their children. -and doing things on their own. -can do things that I like with too. -Plenty of time! Your time will come! -attached with being a single mother? -not to my face anyway. -the school run in their pyjamas. -Jeremy Kyle and live off benefits. -from maternity leave for both boys. -to keep a roof over our heads. -to you as a family. -and do something we all enjoy. -It's an important time for us. -Shall we go back to the house? -How did you become single? -with the boys' father for 15 years. -..and I couldn't see that changing. -because I felt I was stuck. -So I thought I had to change it. -to saying, "No, I don't want this." -I had to get out of that situation. -Of course, we were all upset. -It went on for many months. -to another way of living. -to get used to being alone again. -How did the boys respond? -father wasn't living here any more. -He was very angry with me. -or talk to me, which was very hard. -..he regarded it as your fault? -taken something away from him. -he feels I did it on purpose. -it's happened to his friends. -For him, it's been a major event. -I think it still affects him. -Everything falls on your shoulders. -Everything falls on my shoulders. -and read with them or do homework. -You have to be everything for them. -when you have to say no. -"Sorry, I can't buy that." -we'd get the money to do that." -a relationship that wasn't working? -I enjoy my life. I have my freedom. -to who I was six years ago. -it's brought us very close. -Mam and I will go out for the day. -What's the best thing about Mami? -she's happy to talk to me. -All she wants is for us to be happy. -It's not all been easy. -have come out on top and are happy. -she's done everything for us. -living at home for a while? -It would be very hard to leave Mam. -a separation or a divorce. -What would your advice be? -I've cried enough over the years. -is relatively short, isn't it? -for the next part too. -before they can answer back." -to be confident young people." -Sandra? I'm Alex. Nice to meet you. -It's lovely and warm here. -Yes, the one in the middle. -How much did she weigh? -You're holding her in your hands. -they took Marie for a scan. -would never be the same. -I could carry her everywhere. -But as she grew, she got heavier. -got ill with kidney problems. -Then he gave up his job. -then he'd sleep for an hour. -We did that all night. -She's still up all night. -if we wanted her to be adopted. -and she's staying with us." -Then I put the phone down. -She's my daughter, and my husband's. -What is Marie's mental age? -It's like having a permanent baby. -Is that the best way to describe it? -Neither of us goes out. -to have given because of Marie? -so they don't know any different. -admitted twice, so not too bad. -The seizures are the worst. -So it can happen at night. -because you're on pins all the time. -She died once, when she was four. -He went with us in the ambulance. -fantastic job of looking after her. -years but you have to keep going. -We put music on for you. -Whatever you want, you get. -You're always happy and smiling. -She makes us proud every day. -There's always a smile on your face. -You'll do anything for that child. -Pick your leg up. OK? -what it was like to meet Sandra. -They're stuck in that house. -she's her mother and that's it. -has exploded in recent years. -in terms of style and content. -These blogs are now big business. -No Other are the most influential. -has started a blog called Mam Cymru. -Hiya, Heulwen. How are you? -when I was pregnant with Elsi. -but couldn't relate to them. -in Wales is very different. -So I started it last July. -contribute and would send articles. -Mam Cymru is a hobby. -I shift quietly to the spare room. -as I say on Twitter! -It's the Mam Cymru HQ. -a half then I go to my proper job. -I do some more work on Mam Cymru. -who can share their experiences. -a lot of people do go on Mam Cymru. -Not just in Wales but abroad too. -It's daytime then in Australia. -go on it in the early hours. -as you and I both know. -and places they can go for advice. -I reflect that in what I write. -it makes me want to carry on. -in Welsh as there was nothing. -and will need something to help me! -"But you need a lot of patience." -tiny person for the rest of my life. -to mothers who've given birth. -of feeling that motherly love. -Hiya! How are you, Elin? Are you OK? -but this is no ordinary story. -mother when I was about 26. -a year at Cardiff Met University. -she fell pregnant with Caitlin. -She gave birth to her. -which turned out to be cancer. -was about a year and three months. -her father John to look after her. -as we had to think of Caitlin. -We've been married for ten years. -We've lived as a family since then. -So your life changed completely. -hadn't thought about settling down. -that could have happened to me. -at all during her illness? -when she was very ill in hospital. -and I was sat on the other. -she wants me to look after them." -and give her every opportunity. -when you lost your birth mother. -..that Mam and Dad have shown me. -But Mam is your mother, is she? -I'm putting you on the spot! -She makes me work hard. -Do people say that often? -were saying how similar we are. -"She's the spit of you." -We'd look at each other and smile. -that remind you of Nicola? -when she looks a certain way. -She looks the same as her mother. -"You looked like your mother there." -She didn't like a fuss. -I think you're like her in that way. -tidily as she was a teacher. -You like your work to be tidy too. -you want to know about your mother? -..and what she was like. -Yes, I want to know more. -was a primary school teacher. -might be something in her nature. -to have a child naturally. -I'm so proud of everything she does. -Happy Birthday to you. 40! -"You support me in everything I do! -for being there with me! -..like Alan and his partner did. -a maternal side to me. -to give that love to a child. -I want to do what she did. -when I first thought I was gay. -what that means at that age. -get married and have children. -At the time, it wasn't an option. -to dealing with straight couples. -as she can't have children. -trying to deal with that. -with a partner as an adult. -I was a child dealing with it. -of the fact you wanted to adopt? -He has bunk beds in his room. -The bottom one is Nain's bed. -your little boy for the first time? -to buy a wooden toy to give to him. -smiled and jumped up for a hug. -I'm hopeless! I'm a real softie! -Did it feel natural from the start? -..how do you bring about that love? -not having an immediate connection. -But I did have that connection. -might not have that connection. -But it felt totally natural. -the moment he looked at me. -..how did you define who did what? -My partner took time off. -..who hasn't seen the child all day. -where we had more traditional roles. -to bed - I hadn't seen him all day. -But not at all. I was so soft. -as children aren't used to it. -I had Nain and Nain. -People just look for differences. -open-minded but that's not the case. -a child needs a mother and father. -Nobody's said anything to my face. -people thought they were being kind. -It angers you more than anything. -you as two fathers offer your son? -..we show you can do anything. -It's OK to be different. -It's OK to be yourself. -You are the modern family. -We have new partners now. -and for him, more importantly. -It gives a foundation to your life. -you can't help but put them first. -about what anyone else thinks. -you wouldn't know what to do." -and to chat with over a cuppa. -in Welsh, has been a great help. -Who is next to you? -don't know many Welsh people here. -I never thought I'd live in London. -I never thought I'd leave Wales. -It meant so much to me. -and chatting in Welsh to friends. -You feel as if you're home. -opportunity to practise my Welsh. -I don't live with a Welsh speaker. -I try and speak Welsh to Monty. -..and to speak Welsh with them. -you're about to return to work. -Lois, who's almost a year old? -three years ago to work as a nanny. -Cian's family depends on you. -Are the hours long sometimes? -It depends what day it is. -Between ten and twelve hours. -since he was eight months. -Yes. We have a good relationship. -finishing with them in September. -Thinking about that is quite tough. -maintain a career and have children. -that there's no perfect solution. -You make compromises every day. -It's hard to get everything perfect. -between your work and your life. -"All you can do is try your best." -but it's also a lot of fun. -You've got nice aftershave on. -would be not to be hard on yourself. -"Do your best and enjoy it. -but it's a special, special honour." -it is a special honour. -for years. I've been lucky. -The first year has been challenging. -I also enjoy my work. -There's no shame in that. -to do a job I love. -But family will always come first. -So, can we have it all? -A career and time with family. -Well, it's not a simple answer. -copes in their own way. -isn't the reality any more. -try and succeed every day. -of the Welsh mother is still in us. Alex Jones sy'n teithio trwy Gymru yn cwrdd â mamau eraill. Beth sy'n gwneud rhywun yn fam dda? 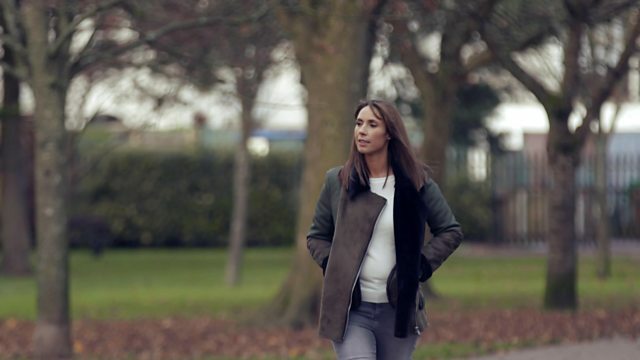 Alex Jones talks to other mothers about the work/life balance and what makes a good mum.